In the church we face huge questions about our church community. About the place of women, our views on sexuality, the need for consultation and for dialogue. We need to know what all of us believe, not just our leaders. We need to know how people find it to live their faith, in these areas of sexuality, ministry and other realities today. There is now a huge gap. We hope that the Synod on the Family will help narrow that gap and connect theory and lived faith. There is a need to be able to grapple with the demands of today and the message of the gospel. To be able to discern in the peace and joy of the Easter message, knowing we don’t all have to agree to say my Lord and my God. 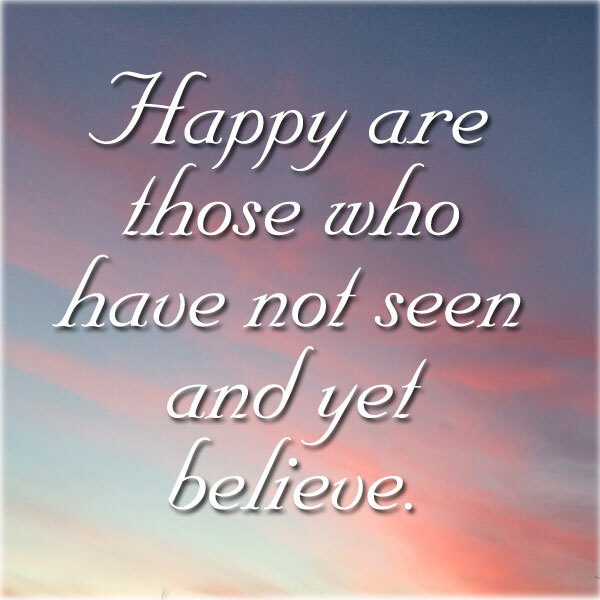 We are the people who are happy to believe; we want this faith to spread so that we are a community of faith and of joy, and a faith that lives for justice and compassion. Thomas left the community for a while and lost Jesus. We find the risen Lord and his message together. This entry was posted in Gospel of John, Gospel Reflection, Liturgy Resources, Prayer Resources, Scripture, Year B and tagged 2nd Sunday Easter Year B, belief, Christianity, Church, community, Donal Neary SJ, Doubting Thomas, Easter, Faith, Faith Community, Gospel message, Gospel Reflection, Gospel Reflection for Second Sunday of Easter Year B, Jesus, John 20:19-31, risen Lord, Suday Gospel and Reflection for 12th April 2015, Synod on the Family.